I want to start of this post by saying sorry for being so MIA these past few days! I haven’t looked at my notifications or other people’s blogs at all over the weekend. I’ve been in a bit of a slump, plus I’ve been super busy (I bought a car!!) so I’ve been so distracted from my blog, and it’s looking a little bit lacklustre at the moment. I promise this will change soon! Anyway, onto what you’re really here for! The Netgalley books! Last week was a bit of a let-down, but there’s loads to choose from this time around! Synopsis: How far would you go to protect your children? Catherine is a good mother and a good wife. The family home is immaculate, her husband’s supper is cooked on time, but when she starts writing to Michael, a prisoner convicted of murder, she finds herself obsessing about his crime and whether he can ever truly be forgiven… Kate has no time for herself. Caught in the maelstrom of bringing up two young children with no money, and an out-of-work husband, she longs to escape the drudgery of being a wife and a mother. And she soon starts taking dangerous risks to feel alive… Alison has flown the nest. But university life is not what she had hoped for, and she finds herself alone and unhappy. Until the day her professor takes a sudden interest in her. Then everything changes… Three women – all with secrets. And as the days tick down to Michael’s release, those secrets can no longer be ignored. Synopsis: Twenty years ago, Dennis Danson was arrested and imprisoned for the brutal murder of a young girl in Florida’s Red River County. Now he’s the subject of a true-crime documentary that’s whipping up a frenzy online to uncover the truth and free a man who has been wrongly convicted. A thousand miles away in England, Samantha is obsessed with Dennis’s case. She exchanges letters with him, and is quickly won over by his apparent charm and kindness to her. Soon she has left her old life behind to marry him and campaign for his release. But when the campaign is successful and Dennis is freed, Sam begins to discover new details that suggest he may not be quite so innocent after all. Devastated by the death of her husband, Annie Philips is shocked to discover she is pregnant with his unborn child. Hoping for a fresh start, she travels to a remote stone cottage in Anglesey, amidst the white-capped mountains of North Wales. Annie soon realises that she isn’t alone in the cottage. And now she’s trapped. 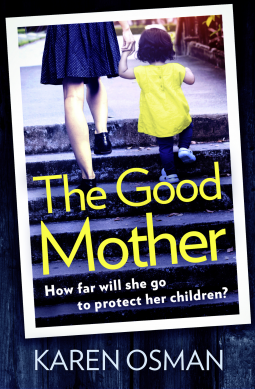 Can she escape the nightmare that she has awoken, or will the dark forces surrounding the house claim her life – and that of her baby? Synopsis: Joanna is an avoider. So far she has spent her adult life hiding bank statements and changing career aspirations weekly. But then one night Joanna hears footsteps on the way home. Synopsis: After discovering rare gargoyles mysteriously positioned inside an ancient church being restored in the small English town of Atwelle, the architect Don Whitby and a young research historian Margeaux Wood realize that the gargoyles are predicting the bizarre murders that are occurring in the town. Five hundred years earlier when the church is being built, two powerful families in Atwelle are contesting control of the region in the delicate backdrop of King Henry VIII’s dispute with the Pope over the King’s divorce. In the middle of these conflicts, the same bizarre murders are being committed in the town. 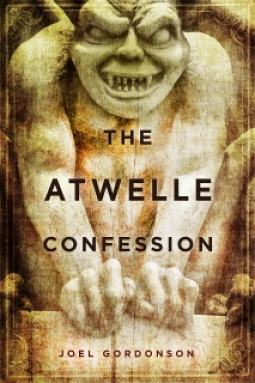 Two stories of identical macabre murders five hundred years apart ─ One surprising solution in the mystery of the gargoyles and the Atwelle Confession. Synopsis: Mary Rose Moreland and Simon Blake are the perfect couple: successful young professionals in Philadelphia, attractive, madly in love, and ready to start a life together. 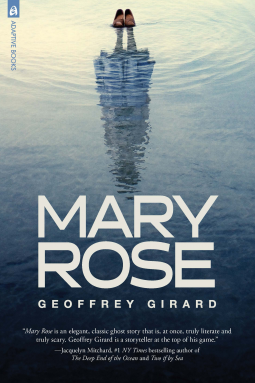 When they travel to England for Simon to ask her parents’ permission to marry Mary Rose, he learns an unsettling secret: Mary Rose disappeared when she was a little girl while the family was vacationing on a remote Scottish island. She reappeared mysteriously thirty-three days later in the exact same spot without a scratch on her and no memory of what had happened. After Simon hears about this disturbing episode in Mary Rose’s childhood, he becomes obsessed with finding out what happened. He proceeds to launch his own investigation and arranges during their honeymoon for them to visit the island where she disappeared. But as Mary Rose’s behavior gets stranger after their engagement, the need for Simon to unlock the truth about her past grows even more urgent. What he uncovers is beyond his most terrifying fears. 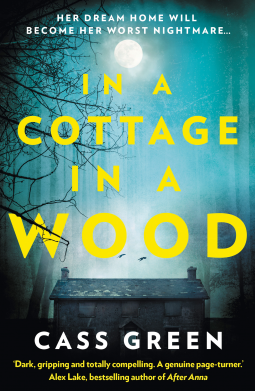 Synopsis: Ari Thór Arason: a local policeman, whose tumultuous past and uneasy relationships with the villagers in an idyllically quiet fishing village in Northern Iceland—where no one locks their doors—continue to haunt him. The peace of this close-knit community is shattered by the murder of a policeman—shot at point-blank range in the dead of night in a deserted house. 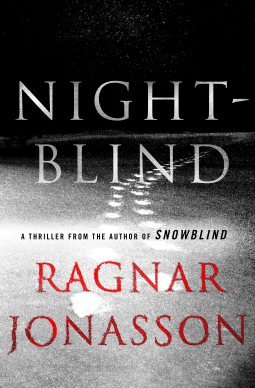 With a killer on the loose and the dark arctic winter closing in, it falls to Ari Thór to piece together a puzzle that involves tangled local politics, a compromised new mayor, and a psychiatric ward in Reykjavik where someone is being held against their will. Then a mysterious young woman moves to the area, on the run from something she dares not reveal, and it becomes all too clear that tragic events from the past are weaving a sinister spell that may threaten them all. 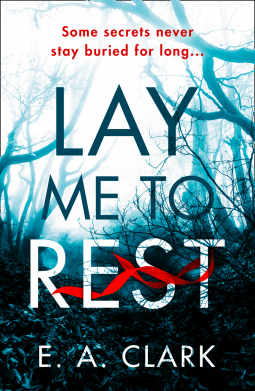 Synopsis: Cassandra Bowden is no stranger to hungover mornings. She’s a binge drinker, her job with the airline making it easy to find adventure, and the occasional blackouts seem to be inevitable. She lives with them, and the accompanying self-loathing. When she awakes in a Dubai hotel room, she tries to piece the previous night back together, counting the minutes until she has to catch her crew shuttle to the airport. She quietly slides out of bed, careful not to aggravate her already pounding head, and looks at the man she spent the night with. She sees his dark hair. His utter stillness. And blood, a slick, still wet pool on the crisp white sheets. 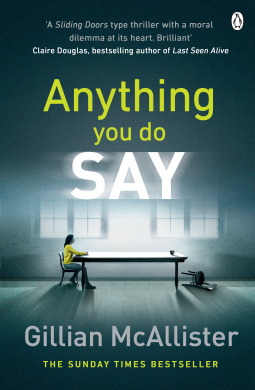 Afraid to call the police – she’s a single woman alone in a hotel room far from home – Cassie begins to lie. 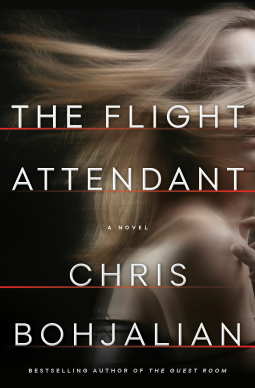 She lies as she joins the other flight attendants and pilots in the van. She lies on the way to Paris as she works the first class cabin. She lies to the FBI agents in New York who meet her at the gate. Soon it’s too late to come clean-or face the truth about what really happened back in Dubai. Could she have killed him? If not, who did? Synopsis: Alison, Julie, Sarah, Heather. Four friends living the suburban ideal. Their jobs are steady, their kids are healthy. They’re as beautiful as their houses. But each of them has a dirty little secret, and hidden behind the veneer of their perfect lives is a crime and a mystery that will consume them all. Everything starts to unravel when Alison spots a nasty bruise on Heather’s wrist. 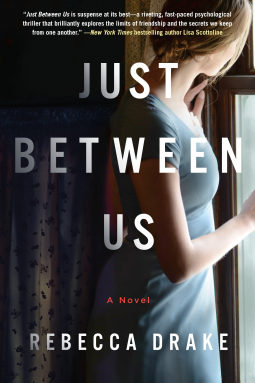 She shares her suspicions with Julie and Sarah, compelling all three to investigate what looks like an increasingly violent marriage. As mysterious injuries and erratic behavior mount, Heather can no longer deny the abuse, but she refuses to leave her husband. Desperate to save her, Alison and the others dread the phone call telling them that she’s been killed. But when that call finally comes, it’s not Heather who’s dead. In a moment they’ll come to regret, the women must decide what lengths they’ll go to in order to help a friend. 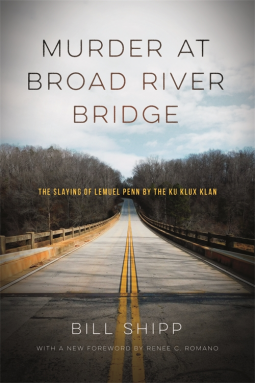 Synopsis: First published in 1981, Murder at the Broad River Bridge recounts the stunning details of the murder of Lieutenant Colonel Lemuel Penn by the Ku Klux Klan on a back-country Georgia road in 1964, nine days after the passage of the Civil Rights Act. Longtime Atlanta Constitution reporter Bill Shipp gives us, with shattering power, the true story of how a good, innocent, “uninvolved” man was killed during the Civil Rights turbulence of the mid-1960s. Penn was a decorated veteran of World War II, a United States Army Reserve officer, and an African American, killed by racist, white vigilantes as he was driving home to Washington, D.C. from Fort Benning, Georgia. Synopsis: The witch came to prominence—and often a painful death—in early modern Europe, yet her origins are much more geographically diverse and historically deep. 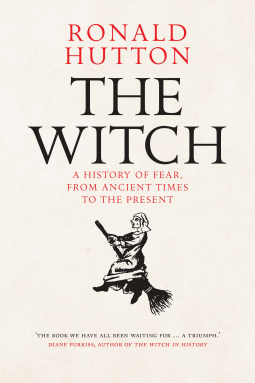 In this landmark book, Ronald Hutton traces witchcraft from the ancient world to the early-modern stake. This book sets the notorious European witch trials in the widest and deepest possible perspective and traces the major historiographical developments of witchcraft. Hutton, a renowned expert on ancient, medieval, and modern paganism and witchcraft beliefs, combines Anglo-American and continental scholarly approaches to examine attitudes on witchcraft and the treatment of suspected witches across the world, including in Africa, the Middle East, South Asia, Australia, and North and South America, and from ancient pagan times to current interpretations. His fresh anthropological and ethnographical approach focuses on cultural inheritance and change while considering shamanism, folk religion, the range of witch trials, and how the fear of witchcraft might be eradicated. That’s it for this week everyone! Have you requested any of these books, or now plan to? I’d love to hear your thoughts! So many books! The one that stands out for me is Mary Rose! The synopsis is intriguing! Looking forward to your opinions on it! 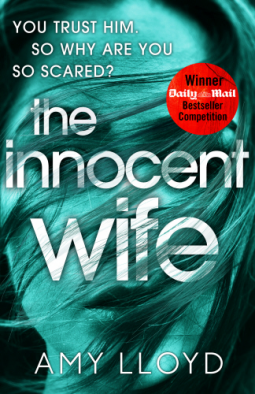 I’m requesting The Innocent Wife…thanks for putting it on my radar! Damn this post, it does nothing for my Netgalley rating lol, off to request a couple of these now!! I love how you “help” me with my Netgalley addiction! I’ve already requested The Flight Attendant..looks so good! I’ll probably buy Anything You Do Say as I loved Everything But the Truth, her first novel. I haven’t read that one but I heard great things! It was really good and one of my favourite reads this year!